This report, the first of three in a broad OTA assessment of Earth observation systems, examines issues related to the development and operation of publicly funded U.S. and foreign civilian remote sensing systems. 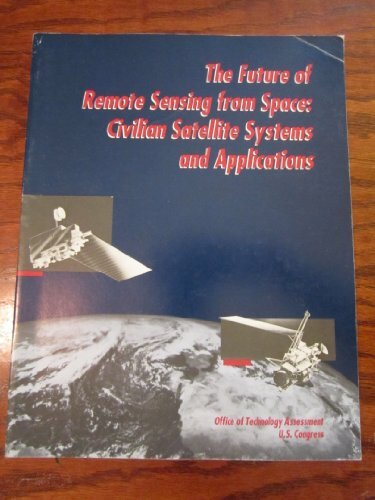 It also explores the military and intelligence use of data gathered by civilian satellites. In addition, the report examines the outlook for privately funded and operated remote sensing systems. This is volume 2 -- Creating a Rocket Industry: Chertok not only describes and reflects upon his experiences, but he also elicits and extracts profound insights from an epic story about a society's quest to explore the cosmos. The development and operation of the Hubble Space Telescope (HST) have resulted in many rich legacies, most particularly in science and technology -- but in culture as well. This book is meant to capture the history of this iconic instrument.